I’d been away from Harlem for too long. I knew I wanted to go back there during the cold times just to see how it was handling the change in weather. When I realized that I was going to be off during the week of Christmas, I couldn’t resist and decided to go there on Christmas Eve, one of the busiest shopping days of the year. And so I did. 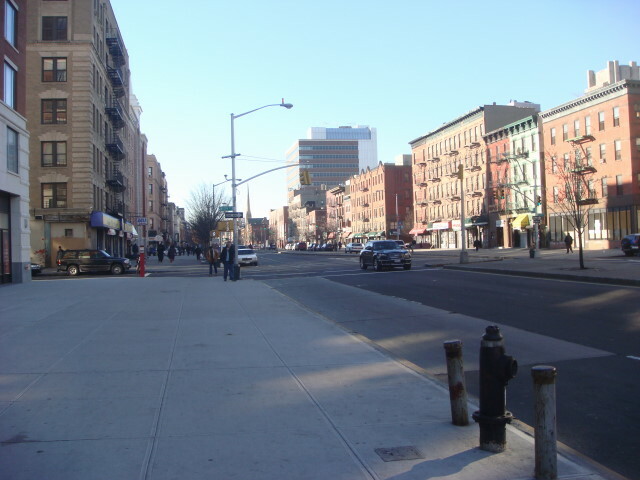 And Harlem’s streets were nearly empty. 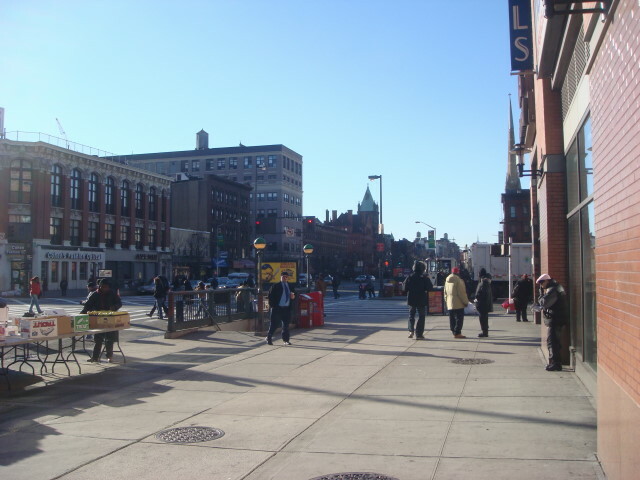 Here’s a shot of the heart of Harlem: Lenox and 125th. A little further up Lenox Avenue. 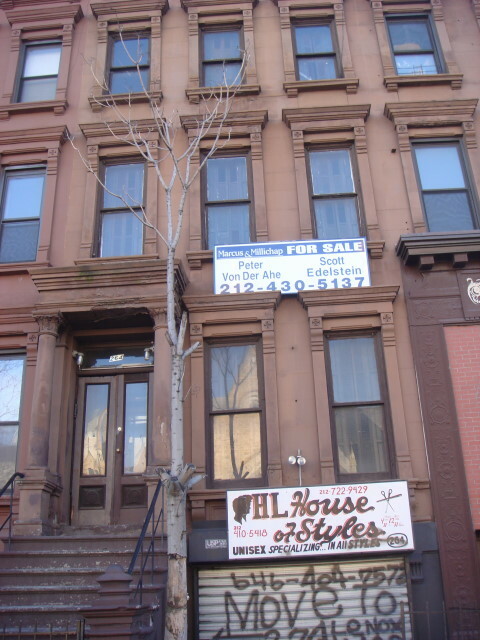 I went a little bit south and found that a brownstone I posted about is still for sale. Off to the right of the above picture is a nice mural. It’s actually for a breast cancer clinic. 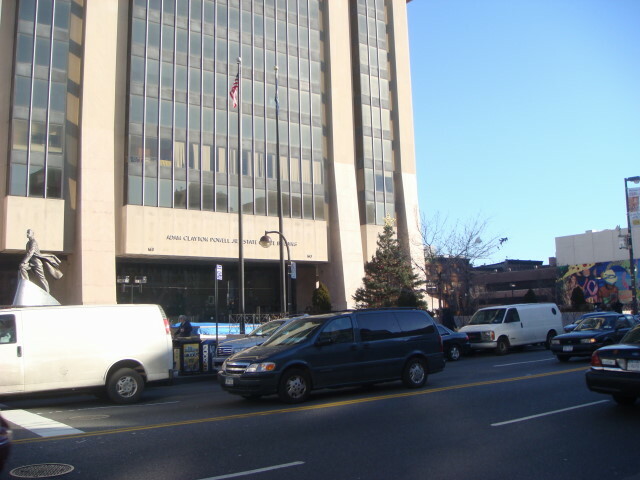 As I was wandering around 125th Street, one person wished me “Happy Holidays” before I could wish him a Merry Christmas. Beaten to the punch! It happens and I’m always happy for it. 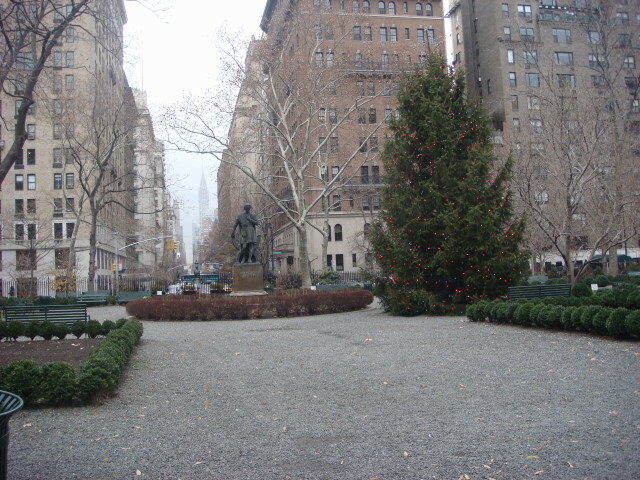 Most of the NYC Christmas decorations that you see in public are done by companies or by the City. 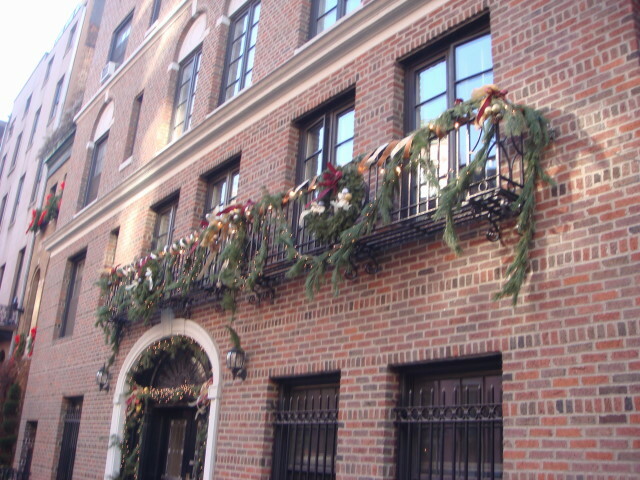 However, one area with some simple and effective decorations was done by homeowners (or perhaps by the cooperatives) in Greenwich Village on 10th Street. It’s the simplest stuff that is generally the best. In the above cases, it’s just branches from evergreens (there’s a place selling Christmas trees just up a block and they lop off branches for this upon request – I know ‘cuz I saw them doing it). There are some decorative touches, but that’s all. I know some of them had lights intertwined in the branches, but I wasn’t there at night so I don’t know the effect. I never noticed anyplace that’s decorated like the suburban houses where the homeowners go wild with Christmas stuff. I have to admit that I’m happy about that. Of course, it’s hard to compete with the Rockefeller Center tree and Macy’s windows. Christmas Eve was a day that I did a lot of wandering. 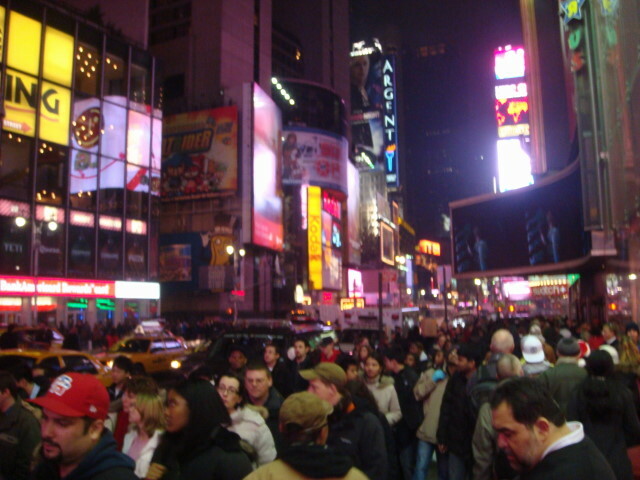 My habit on that day, and on Christmas Day, is to wander about and wish people a Merry Christmas. It’s fun, unexpected by the recipients, and is almost always welcomed by them. I get a lot of “Merry Christmas” responses, but it is usually the more boring “Happy Holidays”. I can’t believe people actually say that. 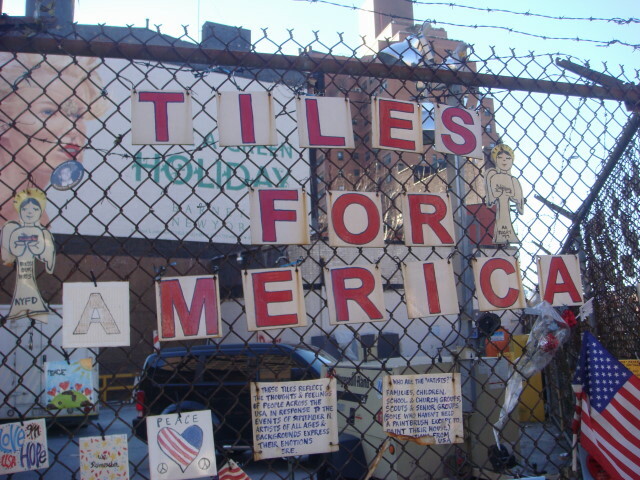 Anyway, I was down in the West Village and ran into a place that is not very “Christmassy” at all: Tiles for America. I’ve seen it many times, but it really touched me on that day simply because things like Tiles for America remind you of things that should be remembered. It is a very simple set up. There’s a parking lot with a chain link fence around it. 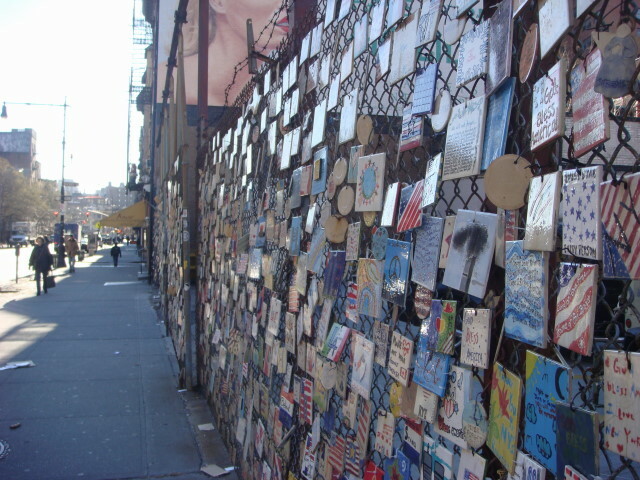 On the fence, people have put up decorative tiles centered around 9-11. 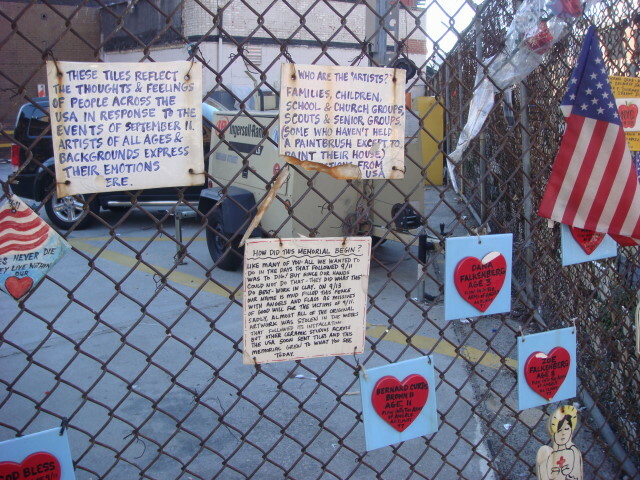 The display covers the fence along Seventh Avenue and Greenwich Avenue. It is an amazing thing to read and quite heartbreaking. 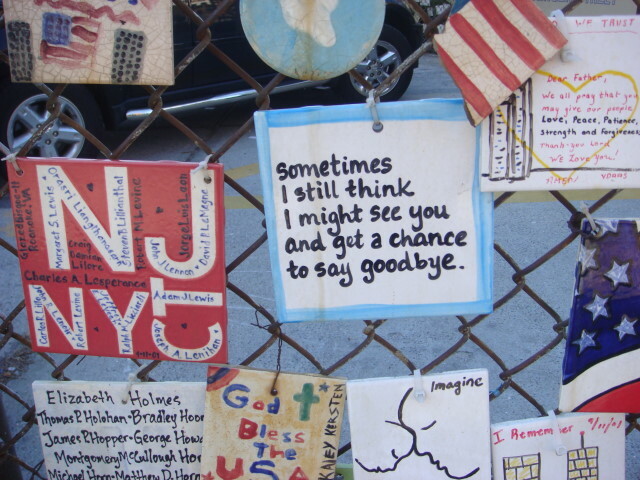 The tiles with hearts below are some of a handful of ones dedicated to young children that died that day. They are apparently children on the planes. I am generally pretty cynical at such items and I don’t really know if this is a true statement from an affected person or a poetic truth from someone who wanted to express themselves. Nevertheless, I think it speaks for all of those people who were affected. 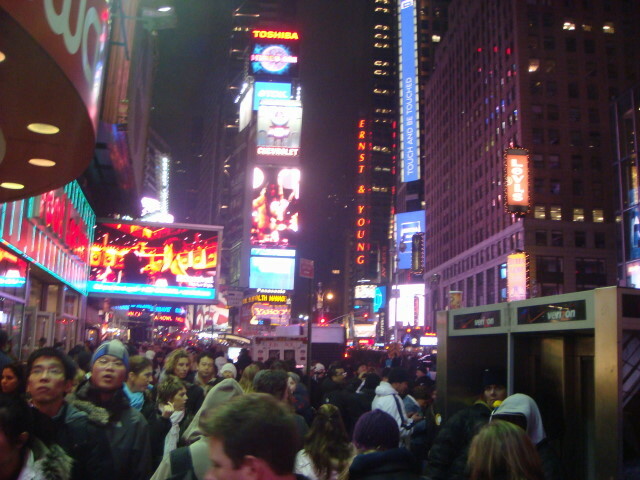 I did a lot of wandering about on Christmas Eve. 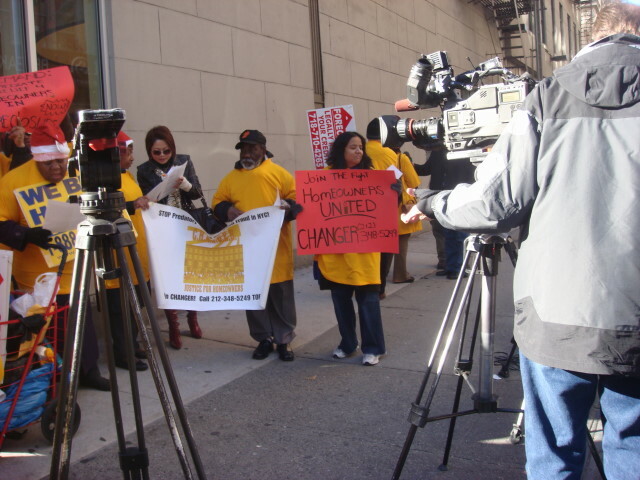 I ended up in the East Village, near Union Square, and saw a protest going on. 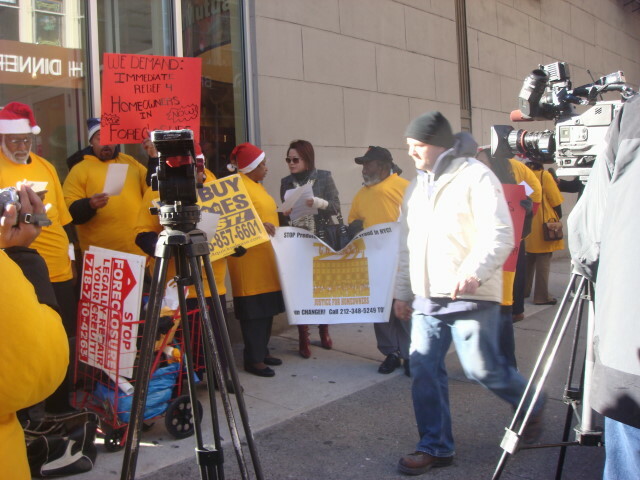 It was being held near a Washington Mutual branch and they were protesting foreclosures. 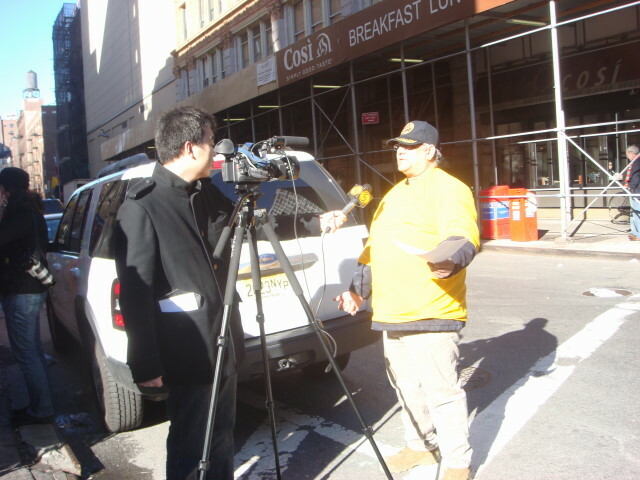 They had a couple of camera crews and the occasional passing-by viewer/photographer like Famous Ankles. I’ve no idea of the affiliation of the protesters or of the film crews, but I can say that aside from the organized protestors and the film crews, the spontaneous joiners numbered about zero. I presume they were trying to identify WaMu with Mr. Potter in “It’s a Wonderful Life” or perhaps with Scrooge. 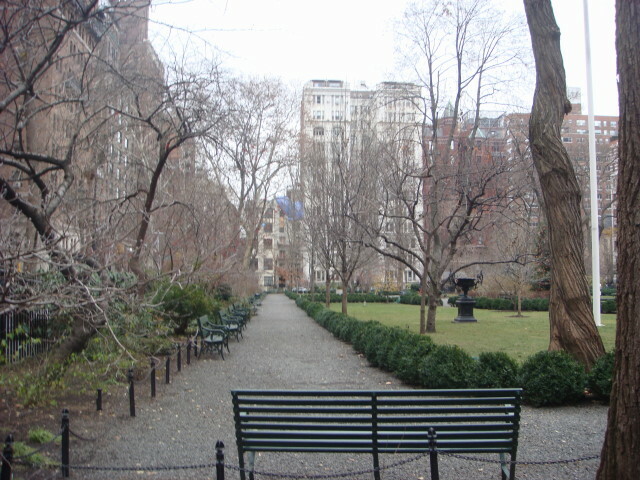 Gramercy Park is a very quiet, very nice, and very exclusive part of Manhattan. 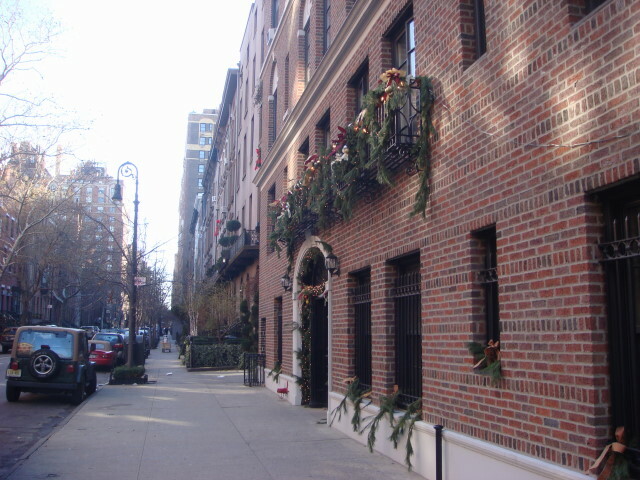 It is, of course, part of the Gramercy neighborhood that starts somewhere around 34th Street and goes down to somewhere around 14th Street. It’s on the east side of Manhattan. 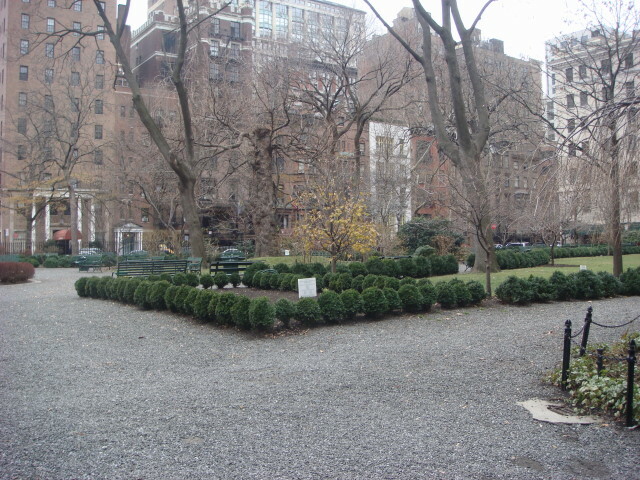 Gramercy Park is a little different that other parks in Manhattan. No. 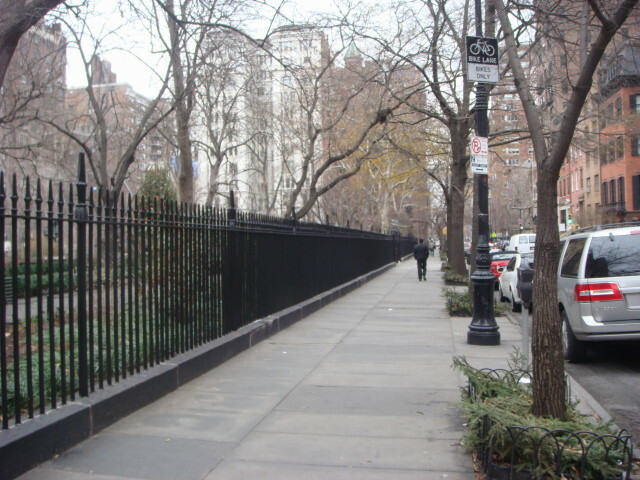 Make that “Gramercy Park is a whole lot different than other parks in Manhattan”. It’s exclusive. You have to live in the immediate neighborhood of the park to get a key to the place. For the rest of us, it just sort of sits there and mocks us as unworthy to enter. 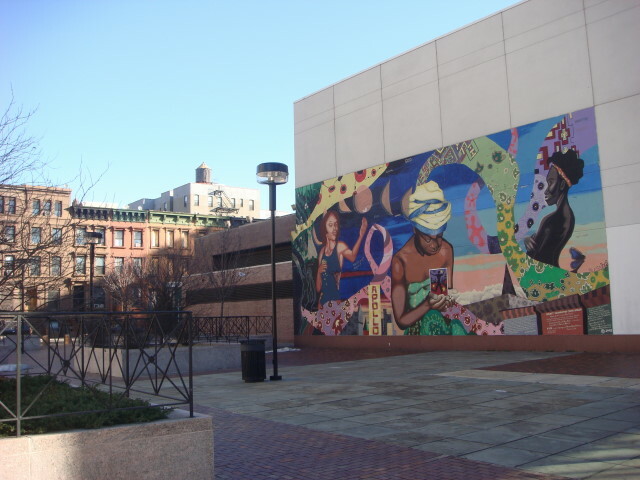 It’s located around 22nd and Lexington Avenue. 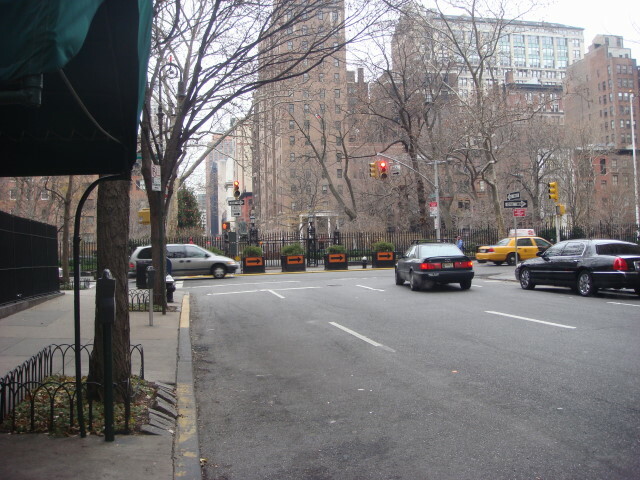 It interrupts the flow of traffic, but that’s okay: it’s Gramercy Park. A couple of years ago, I looked pretty closely at buying a place in the Gramercy neighborhood and their big selling point was that it came with a key to the park. It’s a very nice park, but don’t confuse it with the big ones. It’s pretty small. The defining characteristic of it, aside from keeping out the riff-raff like me, is that it is very neat and clean and ordered. It really goes east to west. Here’s a shot from the west. 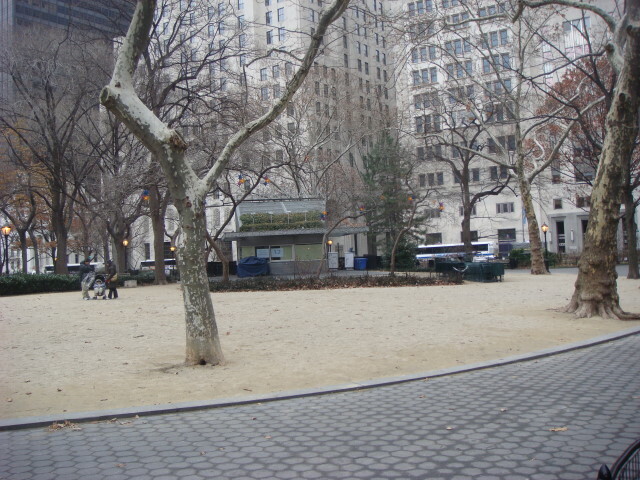 It was a cold Saturday, and there was absolutely no one in the park. Right in the middle of Manhattan and not a single soul was walking it. There were a few of us wandering the outside perimeter…probably mostly wishing to go into a warm building rather than a cold park. ‘Cept for me, of course. In the center of the park is a statue that I really don’t understand. 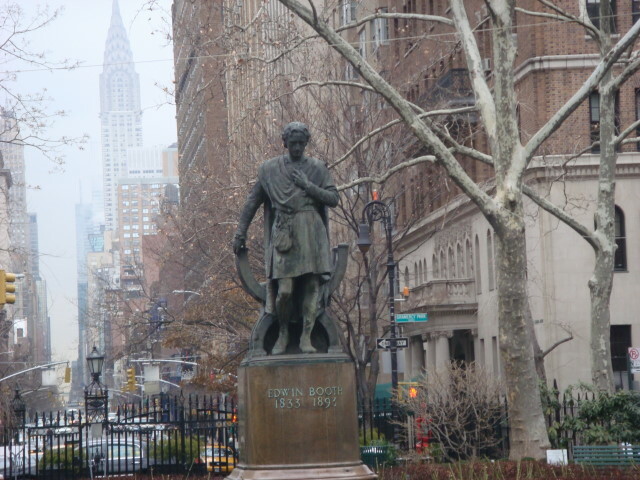 I’m a bit of a history buff but I wouldn’t have put this person on my list of “center statue of Manhattan’s most exclusive park” within the top 2,000 or so. I certainly knew his name, but…why on earth is he there? Yep, it’s Edwin Booth, older brother of John Wilkes Booth (you ought to know that name without a Wikipedia link). He seems to be in his Hamlet costume, for which he was famed. And we thought these were the days of celebrity worship. I went by Madison Square Park the other day whilst wandering about (I haven’t used the word ‘whilst’ in a long time and am happy to end that drought). Two items impressed themselves upon me. First, the Shake Shack was closed for the season. 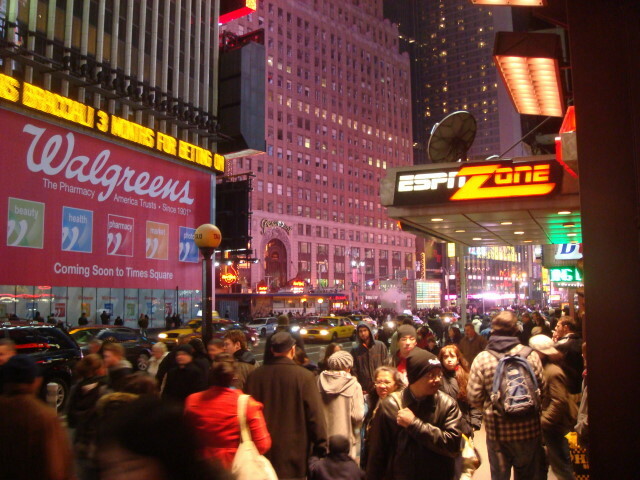 In an earlier post, I had commented how wildly popular the place is. 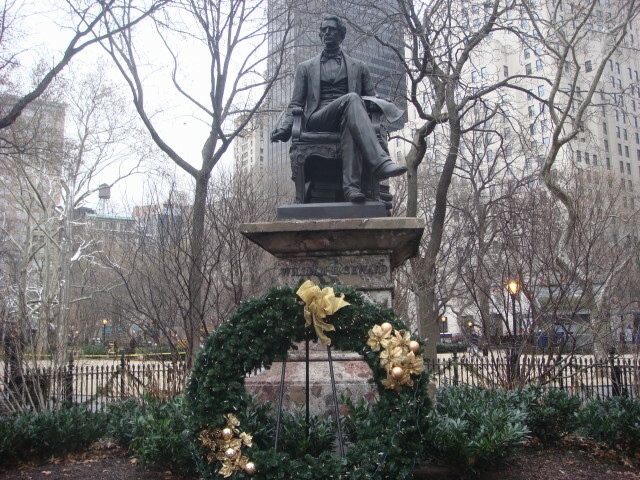 Second, I got a nice look and picture of the William H. Seward statue. Alaskans can celebrate the man in English ‘stead o’ someone else in Russian due to the man’s stubborness. You are currently browsing the Famous Ankles weblog archives for December 2007.